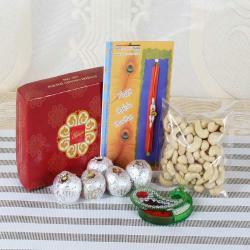 Product Consist: Dry Fruit Cake Sweets (Weight: 200 gms), Rudraksha Wooden Beads Rakhi, 4 pcs of Ferrero Rocher Chocolate along with Roli Chawal Container. 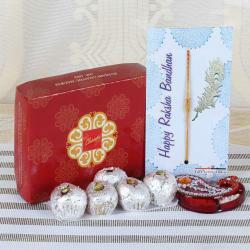 Most of you want to bring back your lovely brother or sister into their childhood memories through a rakhi gift. 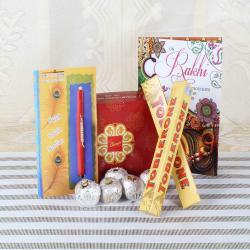 To do so, you have to gift them a Ferrero Rocher Chocolate with Dry Fruit Cakes Sweets, and the Charming Rakhi hamper. By presenting this rakhi gift, you symbolize that you wish your dear one to have sweetness like the hamper in their life forever. Elder people used to say that start any good thing along with chocolate. Hence, this will be an excellent rakhi gift for your dear one. 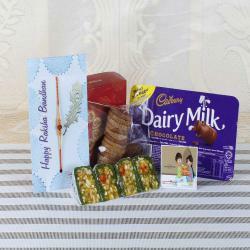 Your loved one will never forget this Raksha Bandhan when you present this gift to him or her. 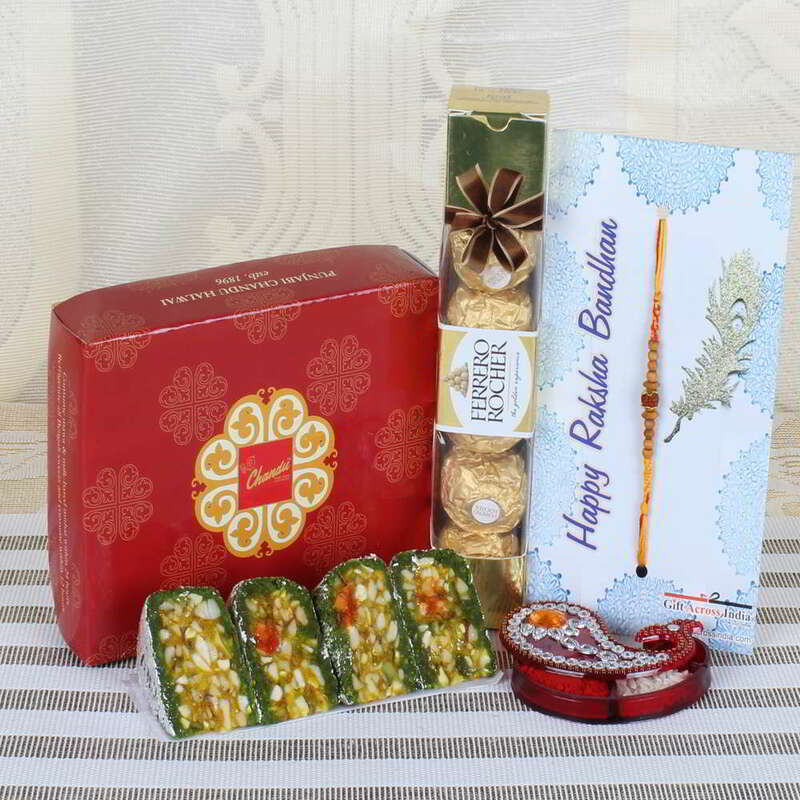 Product Consist: Dry Fruit Cake Sweets (Weight: 200 gms), Rudraksha Wooden Beads Rakhi, 4 pcs of Ferrero Rocher Chocolate along with Roli Chawal Container.